Born in 1988 in Carmichael, California. Shortly after, at age 4 his parents and he moved to Hanford, California were he spent a the next 14 years. Growing up in Hanford, Chad attended Pioneer Middle School and Hanford High East Campus. While attending high school Chad also worked at Stinger Chassis for a few years before going to work at BR Motorpsorts. He also worked at Olsons Racing Engines before graduating from Hanford high school in 2006. 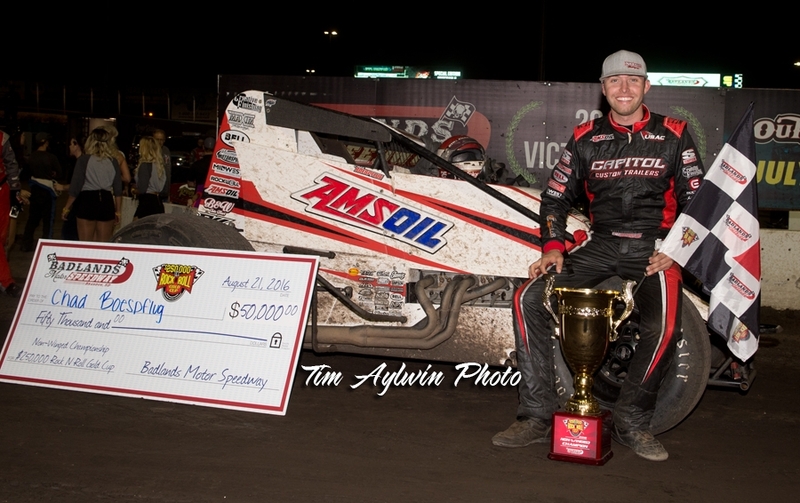 Only months after graduating, he made the move back to Indiana to pursue his dream of being a top ranked sprint car driver. He then went to college at IUPUC for two years studying business marketing, before starting his career as a boilermaker tube welder, which lead to a position of management. Always up for a challenge and willing to race anything with wheels, Chad lives to race. He has been racing every summer since 1998 winning races and championships from coast to coast. The Hanford, California native grew up racing in California and made the move to the Midwest in 2007. In the first two seasons in the midwest Chad faced two nearly career ending crashes in 2007 and 2008 but since has been able to bounce back and continue to win on any given night and contend for Championships. He now resides in Lebanon, IN and works a full time job as an outside salesman for Capitol Custom Trailers & Coaches. A lot has changed but Chad's racing dream continues to live on and only progress as the years go on.